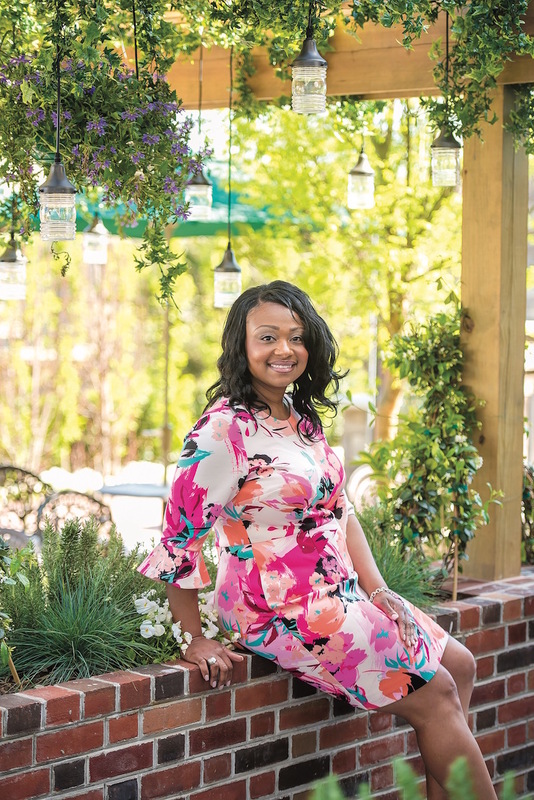 President of the Junior League of Norfolk-Virginia Beach, Board Member for Children’s Harbor, Member of Jack and Jill of America, Inc. and Alpha Kappa Alpha Sorority, Inc. Success is allowing yourself to take risks, to be open to challenges and to never settle. I believe to be successful you need to put in the work and be willing to be coached and mentored by others who want you to succeed. My parents provided me with a foundation to know that I can achieve anything in life with hard work, self-motivation and drive. I’m grateful for the tools they gave me to support my goals and their instilling the importance of integrity. My greatest accomplishment will always be my son and being his mother. My personal civic calling is providing service to children and women’s organizations. Being President of The Junior League of Norfolk-Virginia Beach is a tremendous honor, and I take great pride in representing this group of dynamic women who are committed to improving our community through effective action and leadership. Professionally, it is extremely fulfilling for me to be able to contribute to and witness the success of the next generation at Virginia Wesleyan University. When I am recognized or complimented for the work I’m doing in the community, it is a humbling moment for me. I get involved because I believe it is the right thing to do. To be acknowledged for that shows me that others find value in it as well and believe it to be the right thing. That is very encouraging to me. As a child, I wanted to be a doctor. During my teen years, I became interested in politics, and my career focus shifted to law. I even participated in a mock trial program during my high school years sponsored by a local law firm. Two years ago I received SPARK: How to Lead Yourself and Others to Greater Success by Angie Morgan, Courtney Lynch and Sean Lynch. I keep a copy in my office at work and refer to it often. For one, it’s OK to pause. I’m known to make a list for everything, and the best feeling is to check off completed tasks. When I properly plan ahead by making a list, I am able to better manage my time and productivity. For a lunch meeting I would choose Baker’s Crust—their menu offers a diverse (and delightful) selection to accommodate dietary restrictions, and I’m all for supporting local business. I would order the shrimp and grilled avocado salad. The millennial generation reflects innovation and empowerment, but I do fear in this world of constant change and technological advancement, that my generation will not benefit from the value of “putting the phone down” and having a meaningful conversation. The need for expanded collaboration among our cities. More unified developments could help attract additional external entities that could benefit our regional economy. By offering a competitive employment environment that looks to promote and support the next generation. Also, through civic opportunities and entertainment options. Current efforts toward a more inclusive society gives me hope for the future. I know we will only continue to progress in this area—millennials are game changers.